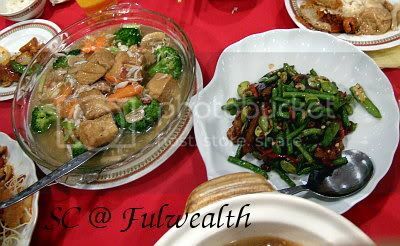 My first post( for 2008) on BH's blog...have to be about food, right?...Well, this one's about Restaurant Fullwealth, in KB..on December 28th, my birthday! The yam basket...the yam wasn't crispy enough, the chicken not spicy enough for kung po style, so wasn't their best that day. 4 aces vege...was good, cos' they didn't scrimp on the petai. 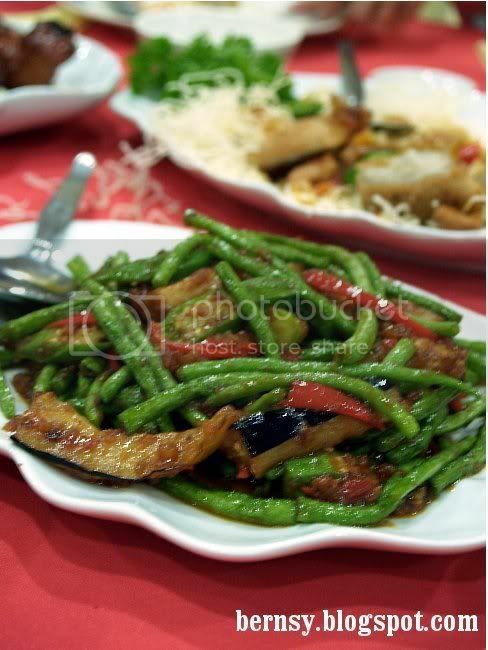 But they should have used snake beans instead of long beans to up the yum factor. The Cod..this was lovely, the cooking was just right, so the meat wasn't too hard or uncooked. Too bad I'm not much of a fish fan..BH loved it, though. 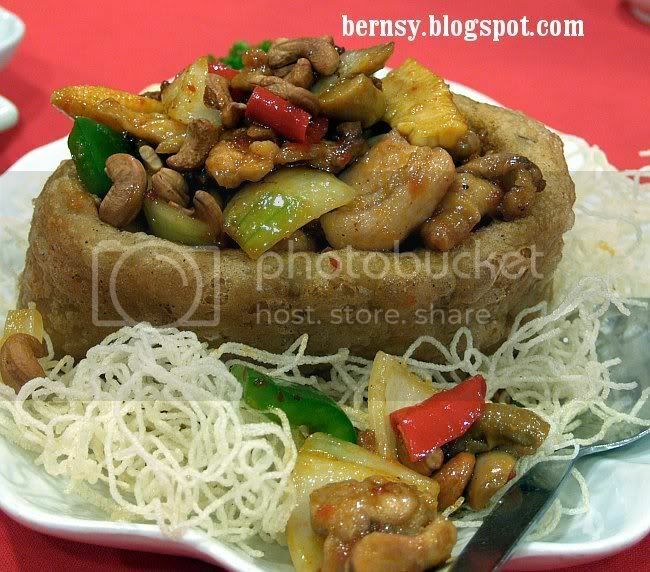 The tofu, their signature dish...nice and smooth, this too was very good. Overall, the cooks might have been on leave that day, but the food was still good, not excellent. It sure was belly busting though! It was on the same day after we visited Village Park, in DU. We finished a nice lunch, not too heavy, and we were walking back to the car. 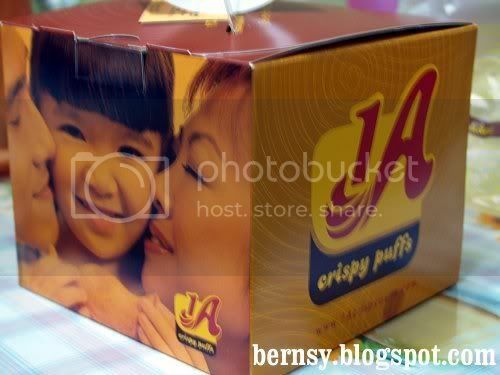 And when we looked up and saw a huge sign, 1A Crispy Puffs. For an instance I thought it was a huge billboard. When we walked towards it, we were very surprised to find a shop in DU, selling only puffs and tarts. Since we all baru habis makan lunch, we decided to but them puffs and tarts to go. Their box is a work of art on its own. Its like a little puzzle as to how they close the lids in so many layers. We decided to try just a few flavours, 3 to be specific because they were not exactly cheap. 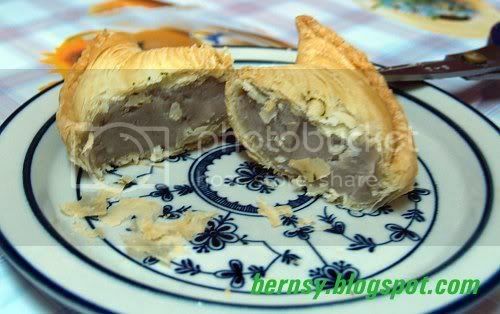 Starting at RM1.80 each to about RM2.60, I must say they are the most expensive tarts/puff I've had. However, still a fraction of the costs of most Meat pies. The Yam Puff was quite good. The filling really filled up the entire puff. So it was flavourful, and very worth every penny you pay for it. The second one we tried was their curry puff. Their curry puff is slightly bigger than the normal Rm0.80 ones we eat at Mamak or the market, but the ingredients are totally different. 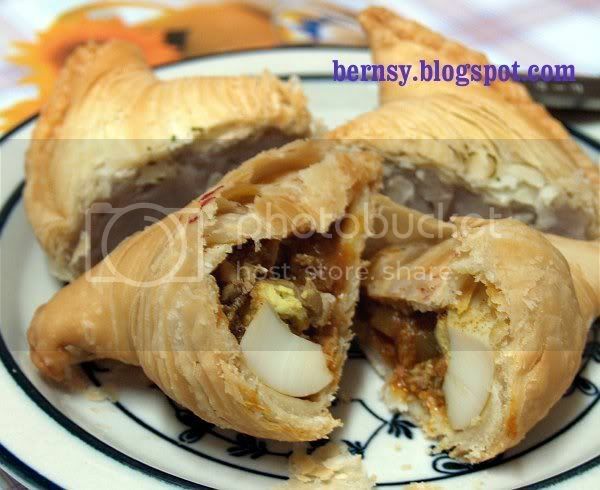 Again, filled right up to its pastry, every bite you sink your teeth in, it returns to you a flavourful spicy taste and yet its not too chilly hot. The third one was the durian puff. It was good, and I bought a whole lot of these puffs for my American friend the other day, and he said, its just good to have durian puffs, the next best thing to have other than the real ones. Their pastry is nice, crunchy, and does not stick to your teeth. It also does not feel too oily. And overall, the filling is plentiful and very tasty. Its not really common to have Sayang rave about a certain place. I am not sure why I have not heard about this restaurant before, but I am glad we actually finally came over to this restaurant to try their stuff. We would normally come by in the evenings after gym and go, alas ! sudah tutup la.... so I suppose they do not do dinner. When we arrived, we saw a canopy set up outside their restaurant, like the type people put up when they want to have a party at home kinda canopy, the only difference is that they actually used that to put more people on the road. Its was packed la to say the least. Then when you walk in , you can see this banner , Best Nasi Lemak in Uptown, sure bo ? 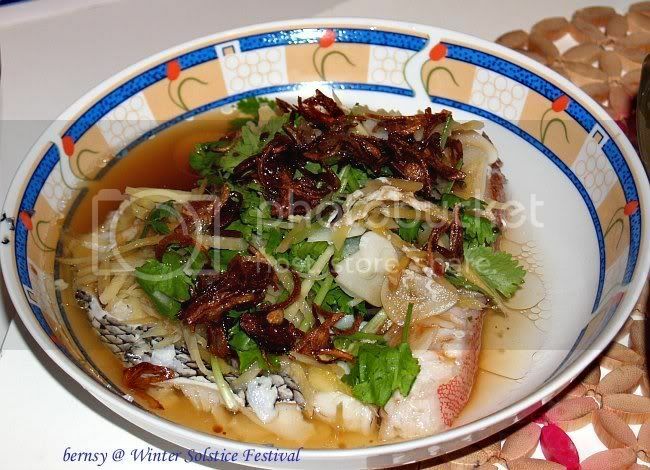 Also in the banner they have pics of some of their various chinese hawker stall fare. The special thing about this restaurant is that its HALAL. Halal chinese hawker restaurants aren't a norm in Klang Valley. 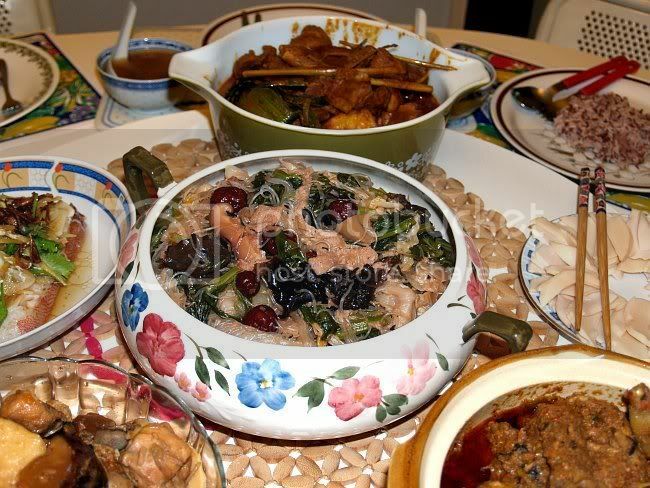 Chicken rice is one of them, Red Ginger also one of them, and Madam Kwan's lo. Where else can you find good pork free chinese food worth bringing your friends to leh ? So after we got a table to sit on, someone came hurriedly to take our order. You can tell by the way the workers are hustling around, that they are doing very well. Recommendation #1, Ipoh White Coffee Ice. 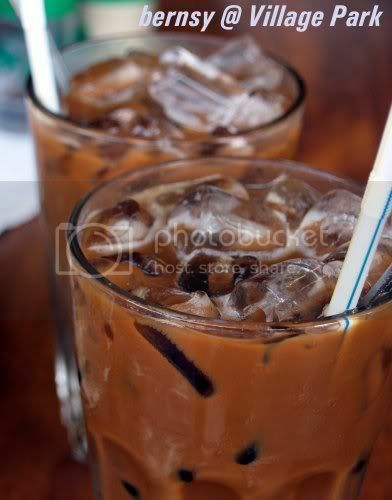 Their white coffee is brewed from Coffee powder unlike the ones you get form Oldtown Kopitiam. 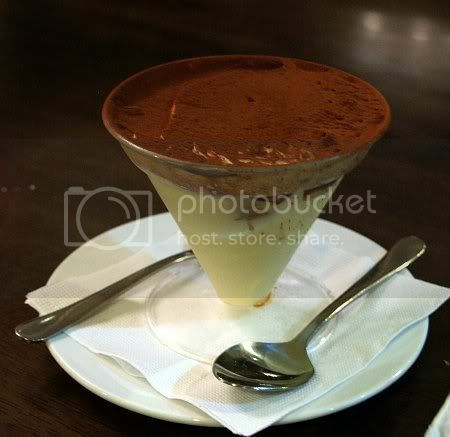 Their coffee is quite kao... and color also quite nice. Sayang must have her roti kahwin whenever she sits down at a kopitiam to either drink or eat. 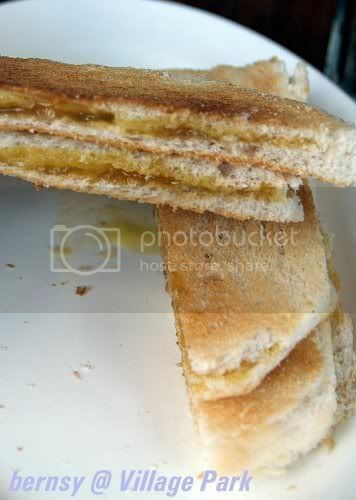 Their toast are just normal sandwich slices like High5 / Gardenia bread, served with a spread of butter and their home made kaya. Their kaya tasted quite alright, but their sandwich bread was a little bit of a let down. You can order a breakfast set from them all day @ 4.50 which consists of 1 set Roti Kahwin, 1 White Coffe, and 2 half boiled eggs. If you want ice, add .50 for each set. I ordered their Prawn noodles. Their prawn mee soup is surprisingly quite rich in flavour. Especially for a halal one. If you liked bland, flat tasting prawn mee, you can always go check out Oldtown's Prawn Mee...but at Village park their prawn mee still pack a little oomph in it. Definitely can't say it is very good, but its the best Halal Prawn Mee I had. Their banner proudly says their Nasi Lemak is bes in Uptown wo. So for sure must try la. 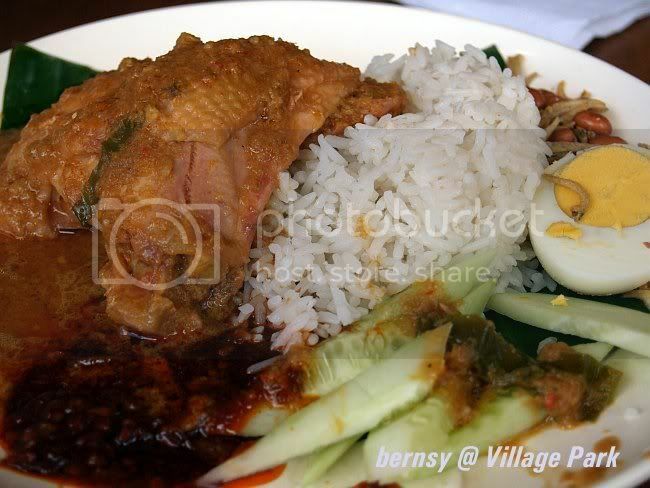 This Nasi Lemak was given a pretty good review from Sayang. Normally we should be able to go to the stall and choose our lauk one, but because of the amount of people waiting in line to take their food right, we opted to order Nasi Lemak Ayam straight from the waiter. Their sambal is quite hot, nuts and ikan bilis quite crunchy, and their curry ayam, was quite tasty. Their nasi lemak is really, actually above average la. I don't mind going back to eat it again. Oh gosh, this must have been like our second gathering of the HRV guild members (most of them) at the Fish Market. However so, this time we just came back from Australia and had just feasted upon some of the freshest seafood, in Queensland, Sydney and Melbourne. Sayang came along, and I thought it would have been a good chance to introduce her to a bunch of my good friends who virtually fought with me in many epic wars. Brothers who "fight life and fight death" (a cantonese proverb), when they ask you out for dinner after the guild disbanded, we usually try to make it. 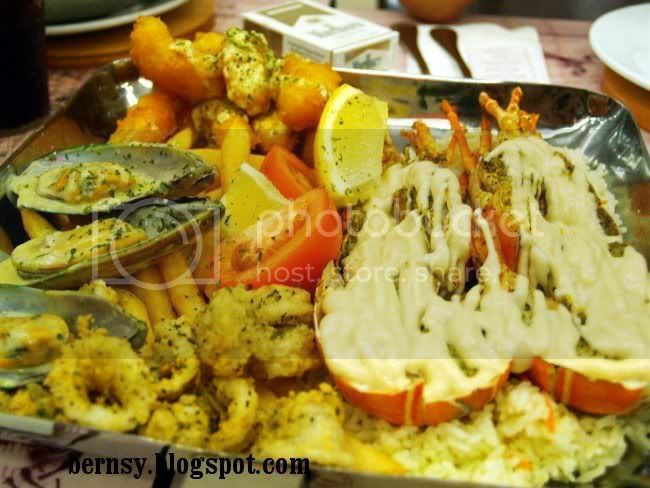 So this is what we had, a seafood platter for two, which consists of some prawns, calamari, fish mussels, I think we had half a lobster in there, some rice and chips. To be very frank, this serving was just about big enough for Sayang and Me. Assuming two guys want to share that, I'd say please think twice or order a starter and a soup to share. And there wasn't even a hint of fresh on those platters they were serving. 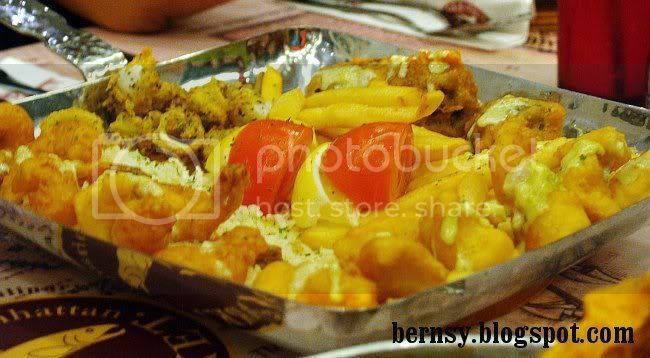 This one's a baked dory, am not sure who ordered this this, but it does look pretty nice. 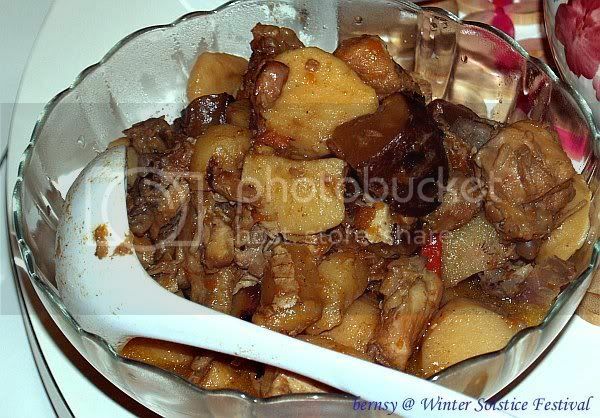 Another one of those dishes served on a stainless steel pan. 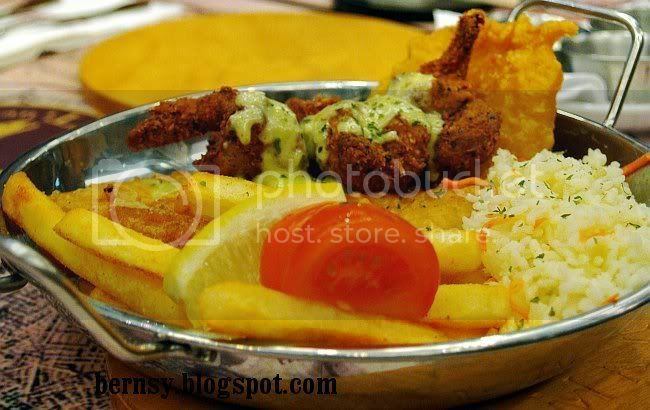 This one is a fish fillet served with chips and rice. Very asian. 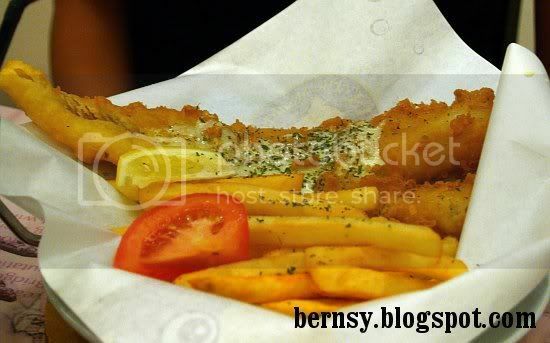 This little fish and chips basket was ordered by Shanna. The baby girl in the group. I won't really recommend any of you to go eat their seafood. Inspite of its name being a fish market, their seafood is anything but fresh. 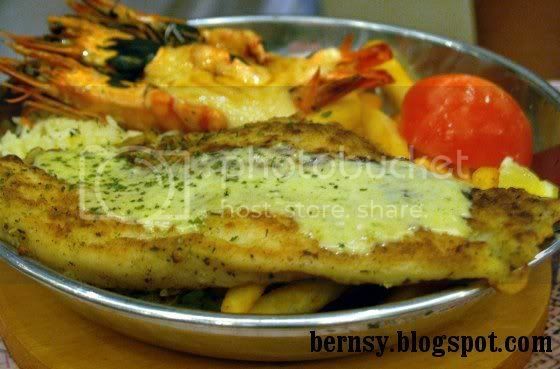 You are better off going to Restoran AhBeng Seafood Restaurant, you will definitely get better seafood than just mostly, deep fried seafood. Thats just my opinion. Where to find this place ? Just walk into Cineleisure from the front door, and keep left. It is next to Tony Roma's. Btw, Tony Roma's and MFM is owned by the Same company in Malaysia. I never knew much about this restaurant, until one fine day, Sayang's parents brought me here. Then Sayang was telling me, this place serve pretty good food and the price is very reasonable also. It was not very hard to get convinced because, judging from the amount of people already in the restaurant, I mean it was full when we arrived at 7pm (40 tbls filled up). 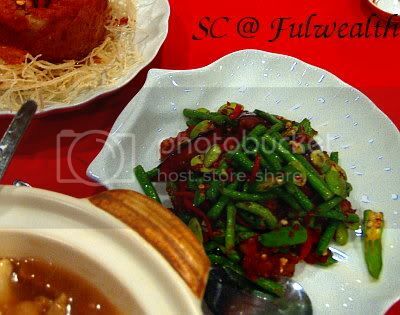 We ordered a mixed beans vegetables cooked in sambal belacan. The four heavenly kings. Not sure why they call this dish that, but I have eaten some pretty lousy versions of this here and there. 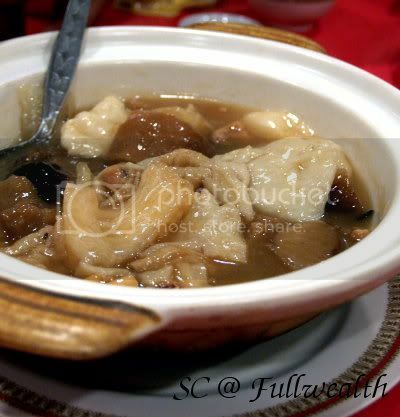 But over here at Fullwealth, they performed very well that night with this dish. 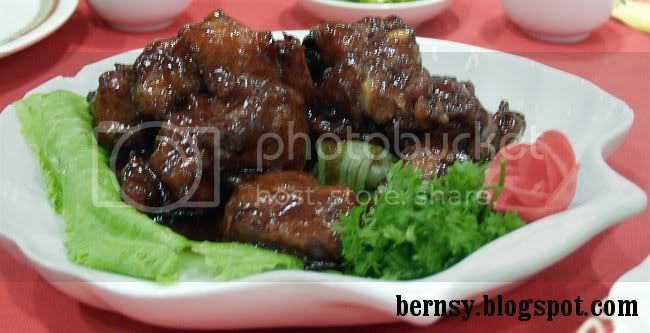 This is their signature rib dish, in cantonese, Chiu Pai Pai Kuat. Its cooked in an oriental sweetish sauce. Again the taste of their ribs is very different. If you noticed my past postings, we have been having this rib fever for a long time now. We thought this ribs were surprisingly very tasty and did not contain a lot of fat in it. I am not sure but is it a pre requisite that when you cook em ribs, its gotta have half fat / half lean like the way most people love their char siu ? 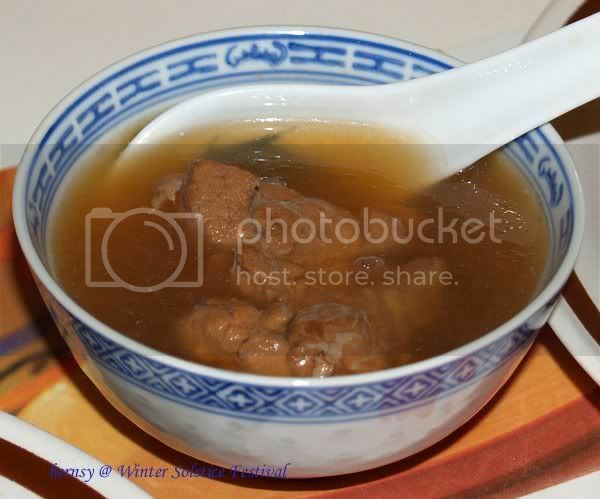 If not mistaken that's the Promfret Steamed in Ginger and light soya sauce. The fish was fresh, and thought perhaps, the dish might have turned out better if they left out the ginger. 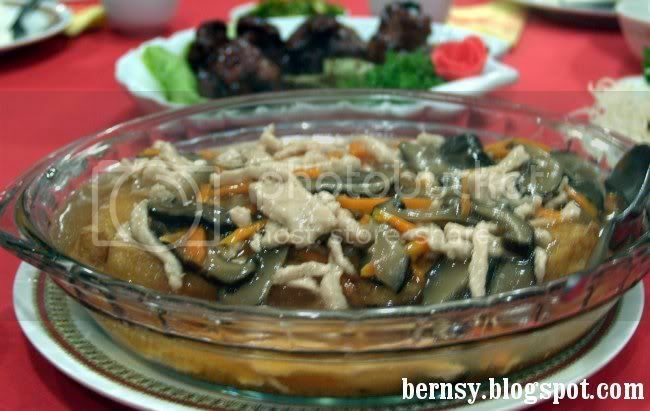 The Japanese Tofu with sliced pork and mushrooms. Again no complains, but generally these are normal dishes we'd order when we eat out. 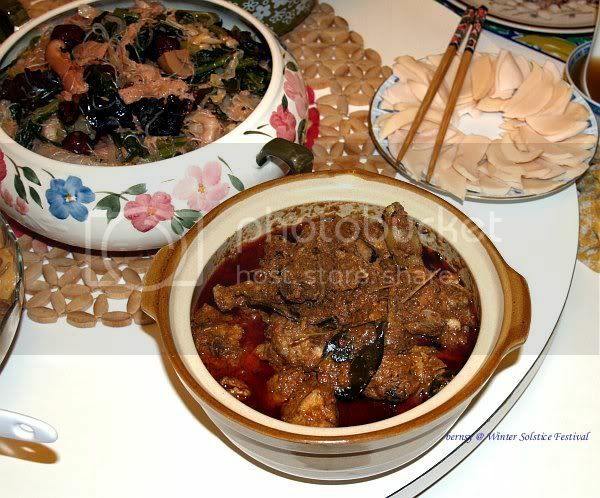 Very safe and common dishes that catered for everyone. The pricing over here is very reasonable. 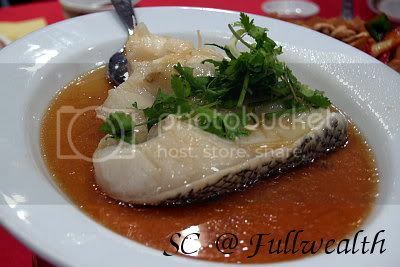 A usual dinner here with just about 5 persons will not cost more than RM80, but if you order some items like Shark's Fin, expensive fish, big prawns, I am sure they are very reasonable too. 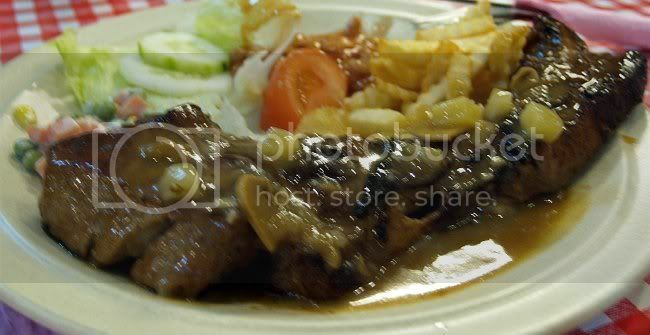 Besides, their serving is quite large also, making it a very popular joint in the Kepong area. 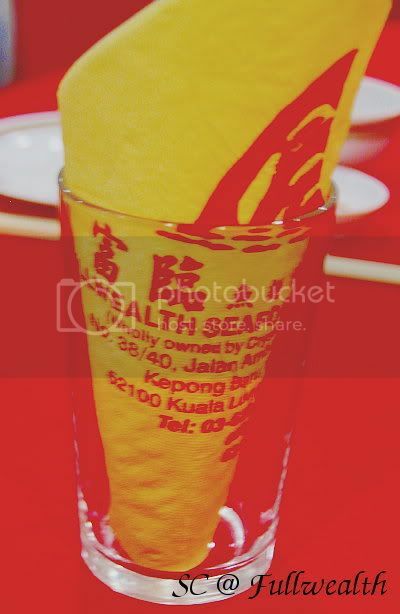 Now, I heard recently that this Fullwealth restaurant in Kepong, is actually related to a Fullwealth restaurant in Jinjang Utara. Not that it actually makes sense to me, because this restaurant is only as new as my second visit thus far. So far, no complains yet. And if I may comment, this place has so far performed much much better than the Tai Thong's in Kepong and Cheras (Taman Segar). 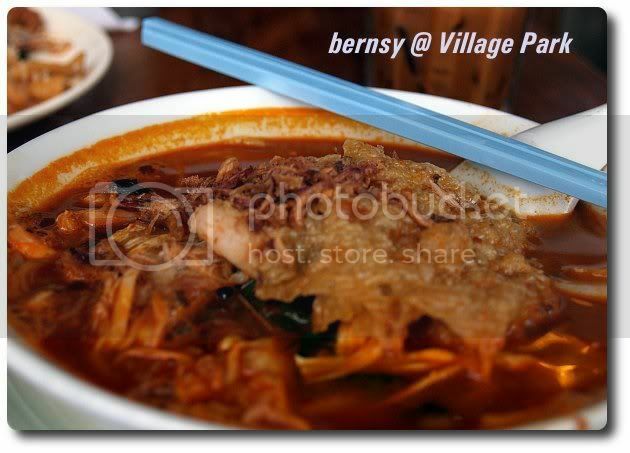 We will drive pass this restaurant which is located in Taman Segar every now and then. Someone has recommended this place to us before, but somehow the chance to drop by always elude us. One day, while we were on one of those unusually early days back in Cheras, means, we ponteng gym somewhere, we purposefully drove to Tmn Segar just to try them out. If you know Cheras Leisure Mall and the Maxis Office opposite of it. This Italian Restaurant occupies the corner lot, right at the other end of the street where this Maxis Office is located in. After our disappointment at some over hyped restaurant called, Pizza Uno, we were obviously very cautious to test out Venezia if they had the same faults. Second test, : Do they serve water ? Answer is yes again. Really unlike Pizza Uno that sells only unchilled Mineral Water for Rm3, I suppose at Venezia they are happy to give you a glass of filtered drinking water. We ordered a large pizza, with two flavours , one half was made with Seafood, and the half was somekind of a Chicken Pizza. I think that pizza costed us about 25 bucks. 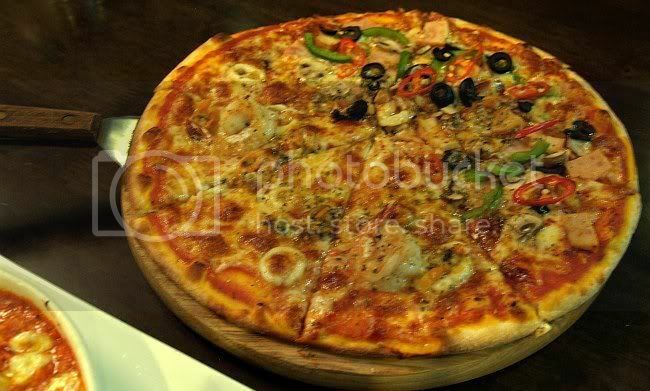 It was one of the better pizzas I have had, in Kuala Lumpur. If you come on a not so busy day, you can see the boss, sitting outside sipping his espresso. He was drinking his cuppa and we could smell the aroma of his coffee taking over the entire restaurant. It says fine dining on its signboard out in front of their shoplot, but I believe they will still serve you their good food, even if you walked in with just slippers and shorts. It really just felt like some small little town kinda cafe where they serve you some really nice simple italian food. 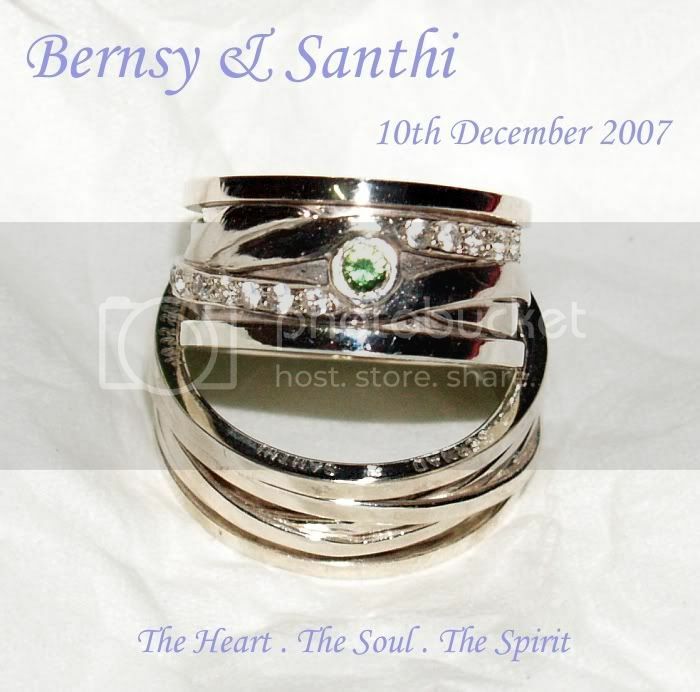 I had an appointment with the Jewelery Designer (Wendy), whom also has an office in the vicinity. Whoa.. isn't that the place where the char siu restaurant is at...I sheepishly set the appointment at 1pm during lunch time, so that I could go over to try some char siu. Our discussion finished at about 230pm and I proceeded to the restaurant. There was only a handful of customers left in the restaurant, as the lunch crowd has already dispersed. I sat down, and ordered Hakka Mee, and Char Siu (asked for lean meat). Uncle Bill came and said , its late already, only heads and tails left, he said. But will try to cut up some good lean meat for me. When the plate arrived, I was astonished as to why the sauce was served separately. 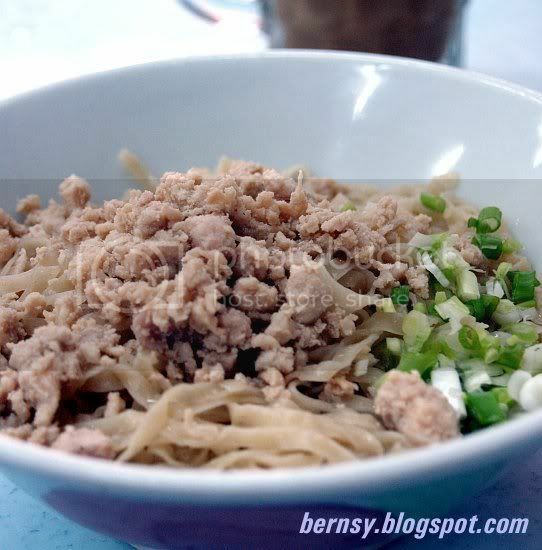 As for the Hakka Mee, it really look like a bowl of noodles with Minced meat, and nothing more. 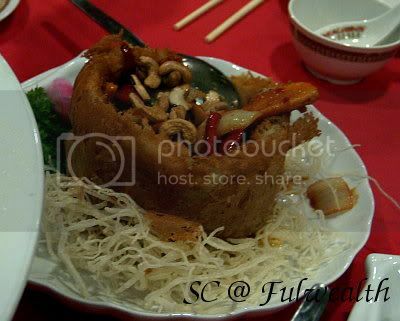 Its a bowl of Clear Kon Lou noodles (hmm reminds me of Sarawak KoLo mee.). The serving was quite generous for both the noodles and the minced meat, and taste wise, I think its quite authentically Hakka Mee. 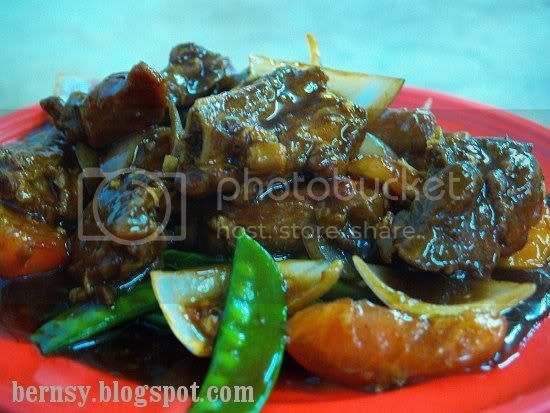 Maybe someone from Seremban can try Uncle Bill's Hakka mee and confirm it for me. So the very next day, Sayang and I actually came together again to Uncle Bill's restaurant. We ordered Hakka Mees, a plate of char siu and added a bowl of meatballs and fishball respectively. Their meatball is also another item on the menu that you have to try. Their meatballs are firm, yet spongy. Taste wise, I believe is very good. Its got to be amongst the best meatballs I have had. 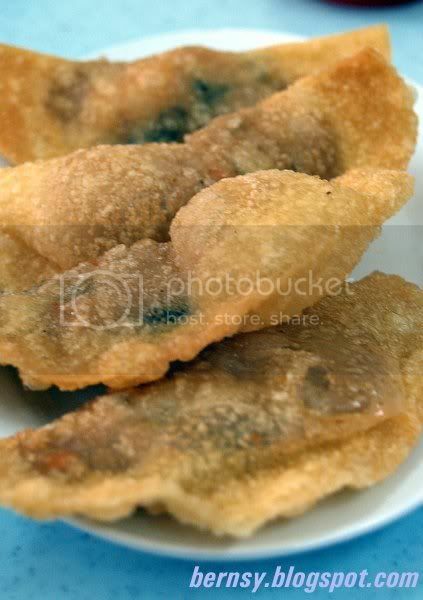 Fried sui kau was quite good, as they will only fry them after you ordered. So it was quite tasty and crunchy and smoking hot when put on the table. Anyone who comes here must also try their fishballs. 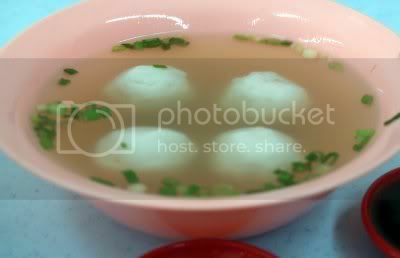 Either by ordering their fishball noodles, or just simply order a bowl of them. 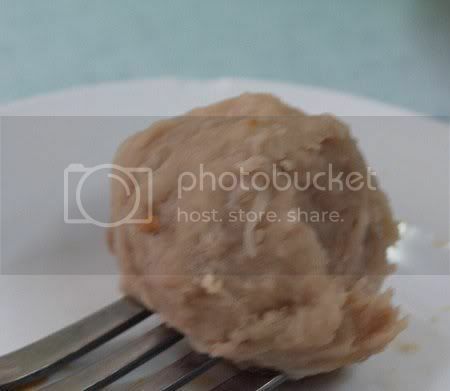 Again, the quality of those fishballs are ranked at one of the better ones I've had. 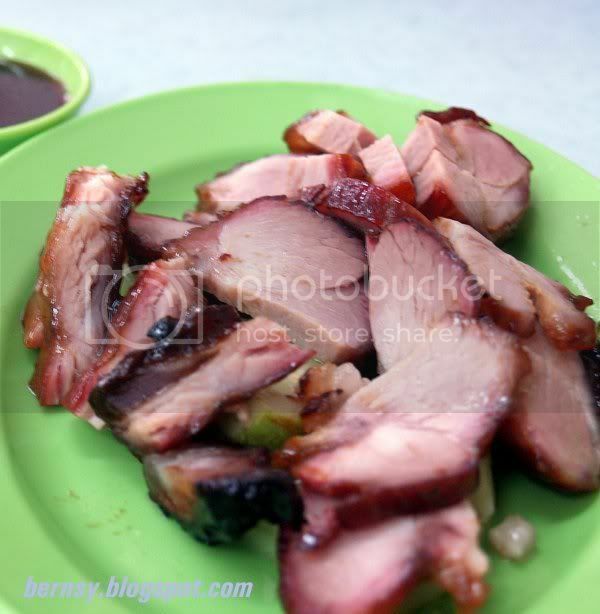 To summise, this place serves up a storm with their Char Siu (Great). The rest of the stuff I mentioned above varies from Good to Very good. Its official now. 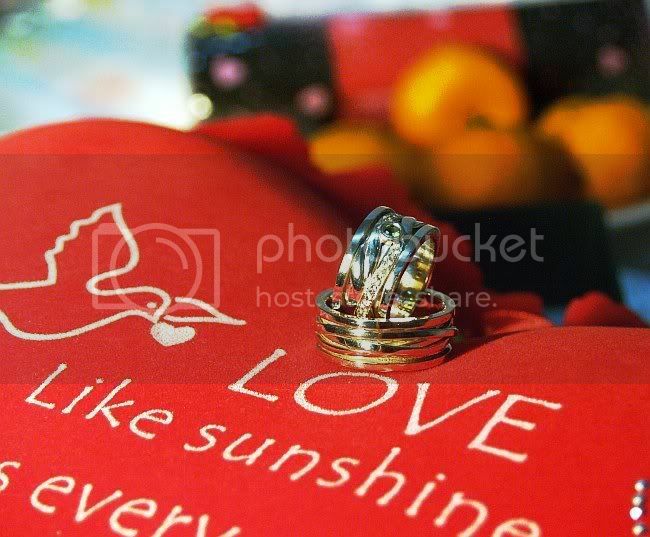 Its the beginning of a new journey of the two of us. 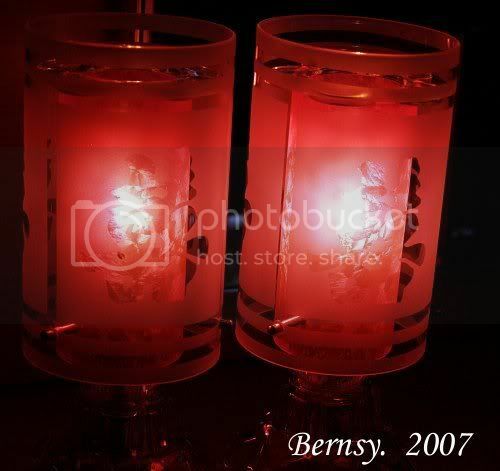 One of the stuff, that we were supposed to furnish the bridal room with was this pair of lamps. I've seen some more traditional ones, but, after attending a few of our friend's weddings, I have not come across, or remembered seeing these lamps in their room. Sayang was looking around in Jusco Selatan, one of those days and found these pair of lamps. I'd earlier imagined that the "Hei" word will be projected out like the Bat Signal, but when I saw it, ok la.. no "Hei" signal also no problem... it looks very modern and non traditional and yet serves its purpose. Oh wow, I am getting married on Monday, and I am just learning about the cultures the our Ancients has been practicing. The ironic thing is about how the Chinese people uses food items to represents symbols with auspicious meanings. I was very surprised when my sister in law, actually bought these stuff and said, its to be put on your bridal bed wan.... I really stun 9 only. But after they explained the various auspicious meanings to it, I also accepted it with open arms... hehehe.. When the furniture arrived, my mom (the good fortune woman), symbolically installed the bed. The bed sheet's bought by Sayang's mom, which was very very nice to touch. Obviously, following traditions, it has to be pink in color. The foods stuff you see on top, is laid on top of a sepcial silk quilt cover, which Sayang's mom bought specially from China. Very smooth, very song !! So back to the food stuff, and symbolic items. We were to put an even number of Tangerines, but in modern times we substituted it with mini tangerines (kat) which symbolizes, Tai Kat Tai Lei. 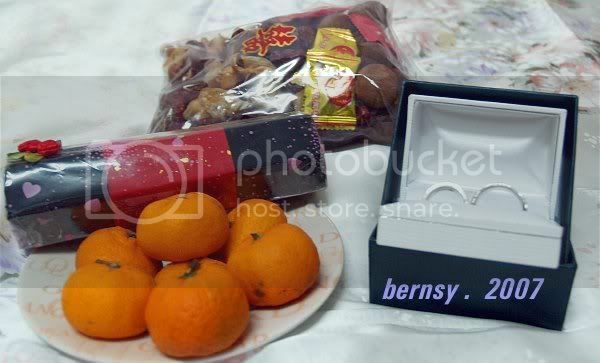 Then you have a packet of dried foods, which consists of, dried longans, dried red dates and dried persimmons are sweet and will bless the marriage with sweetness [Source: The Wedding Blog]. 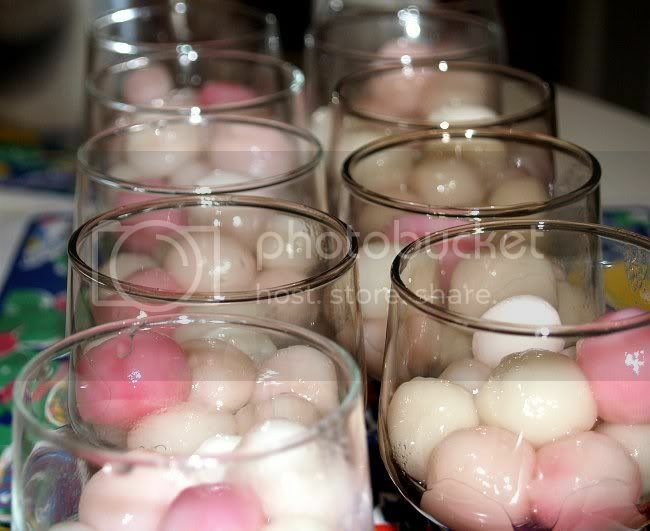 The Pak hup, is there to symbolize a hundred years of harmony in the marriage meanwhile the lotus seeds and pomegranate is to symbolize the blessing of the marriage with fertility. Tomorrow, my baby nephew will have one heck of a time, jumping around the bed, also as a way to bless the bed with extra powers of fertility. kekekeke...... Its fun and its really cute to see the little baby jumping and rolling around the bed. 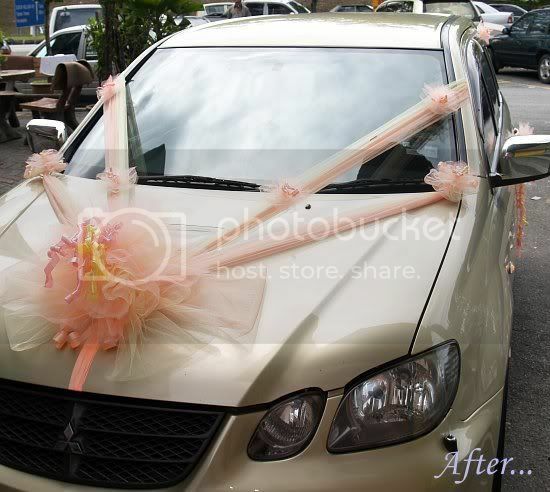 Its actually a pantang, for any adult to sit or rest on the bed before the wedding. Last but not least, the long hexagonal black stick , is actually a long piece of coal (in cantonese its "Tan" ) to symbolize good fortune and good life for the couple. "Tan kei". 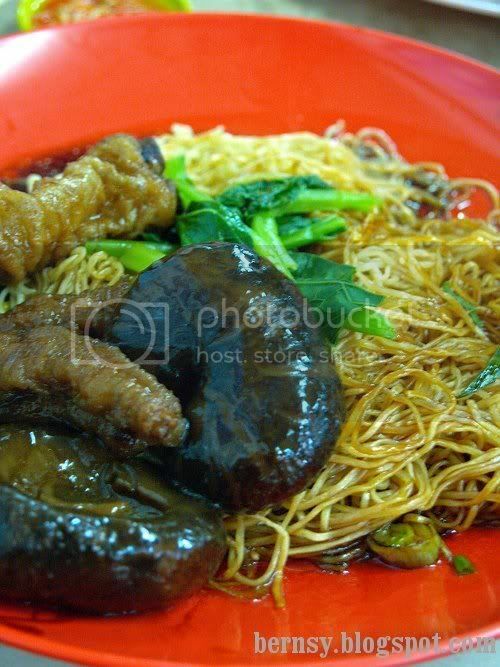 I have to admit that one of the icons of Kuala Lumpur, would be Wantan Mee. It is like Penang CKT to Penang, as in Wantan Mee is to KL. Have not heard of anyone telling me, the bestest wantan mee is found outside of KL. One of those older restaurants that serves only Wantan Mee is Hung Kee, situated at Jalan Loke Yew, for as long as I knew them. They have been there for ages, growing from just a hot and sweaty one shoplot eatery to now, a 2 Shoplot Air Conditioned restaurant. Its just one of those places you drive by, while using Jalan Loke Yew, and without you will definitely tilt your head slightly to see if they are open. These people are legendary, they are like a landmark I will use to give directions to people. 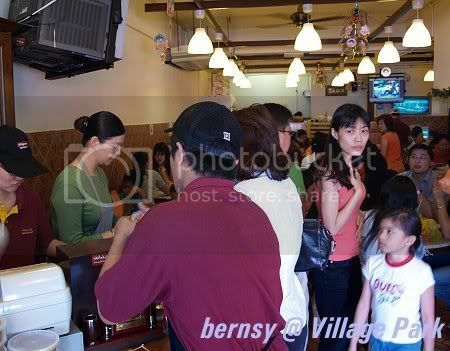 That day we walked during lunch time to find the restaurant filled to the brim. You can find all kinds of people, foreigners, locals, neighbours, and out of towners. We waited a short while before someone left, and we quickly grabbed the table. We only waited about 5 minutes before the auntie came back with our order. I found the wantan mee to be quite alright, important thing is that I am not complaining. I must confess, I ain't no big Fan of wantan mee, but I eat them nevertheless. I ordered Chicken Feet and Mushroom Stew ( Tung Ku Kai Kiok ) , while Sayang had her Char Siu Wantan Mee. This is my first visit here for years, although I have been frequenting their branch in Tmn Shamelin where they have a bigger outlet, with air conditioning as well. 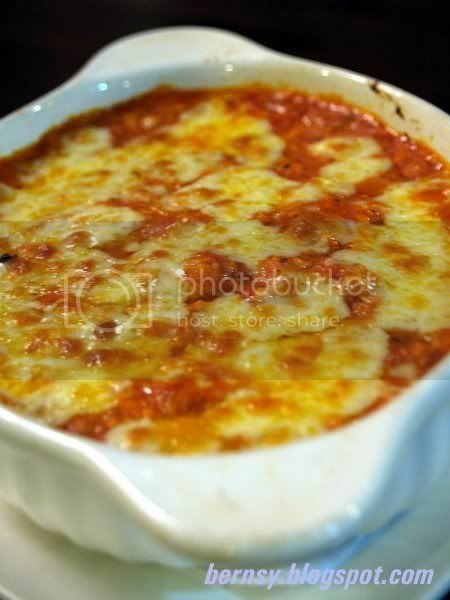 Their Shamelin outlet specializes in ala carte type of food. Also suggest other readers to try out their Shamelin Branch. Sayang one day popped up with this idea of going to try eat something called PJ Paramount's Pan Mee. She was saying, whoa damn good la, when she was studying that time she enjoyed every piece of pan mee, that stall served . But before we could make our way to that Pan Mee stall, we actually ended up at 6 to 10, in Seksyen 17 PJ. It was believed to be one of those more happening places to eat in PJ for many years now. Slowly earning a reputation of dishing out good nasi lemak , and superb tasting western grilled dishes at NO Frill prices. So its just very common that for our first time here, we ordered their signature dishes. 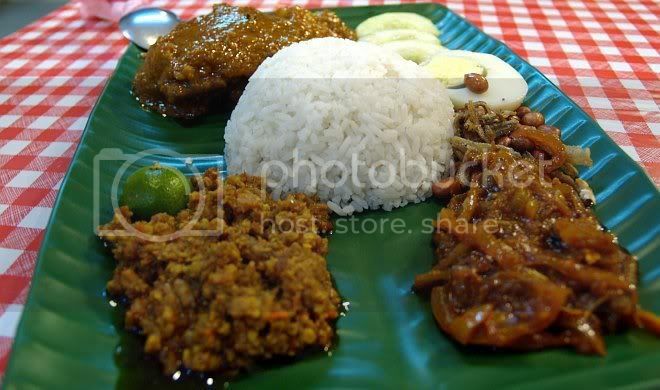 Nasi Lemak with Chicken Curry Rendang, and their Red Wine Pork Rib Special. This actually reminded me that this was actually part of our "You Got Ribs, We want to Try" trip. After so many trips , we still gave to kao tao to Tony Roma's ribs which we tried in Sydney. That has thus far, set the benchmark for us to compare with. Also to be very subjective, it is also up to the individual taste as to how you like your ribs done ? 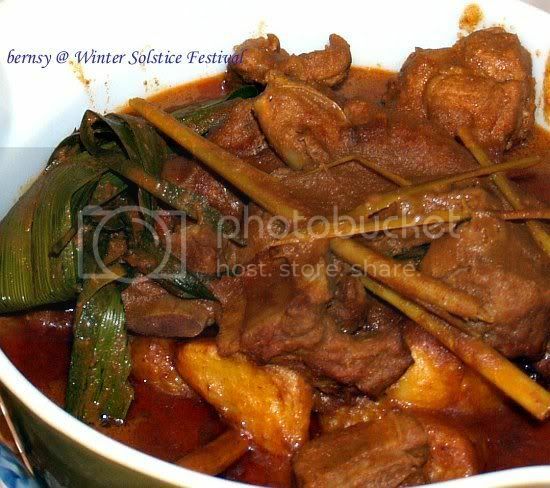 smoky, sweetish, fruity.. tender, roasted or stewed .... There is really a very fine line between good, very good and great. Jalan 17/13, 46400 Petaling Jaya.